The opposition Fair Russia party has promised to fight poverty, corruption and political monopoly and refused to support Vladimir Putin as a presidential candidate. 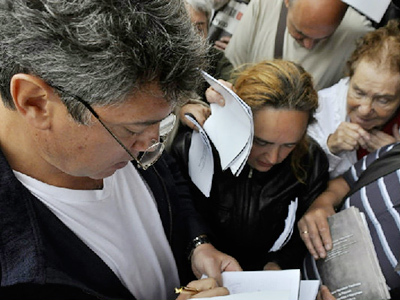 Sergey Mironov, Fair Russia’s informal leader, told the pre-election congress on Saturday that the party must “give a battle to swindlers who turn democratic elections into a farce.” His closest ally and Fair Russia’s chairman Nikolay Levichev said the task at the parliamentary elections is to “break the monopoly of a single party,” referring to United Russia, led by Prime Minister Vladimir Putin. Russia is facing systemic risks that have arisen “as a result of the exclusive rule of United Russia,” Levichev said, referring to social problems, corruption and the gap between the rich and poor. 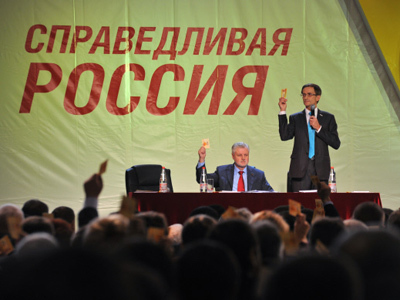 To fight them, Fair Russia has built an election campaign on the social-democratic platform. 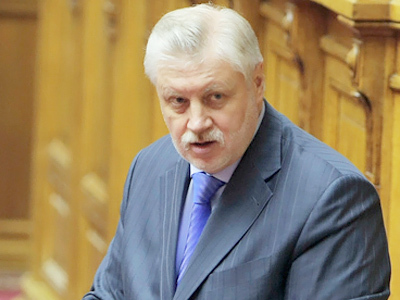 Mironov wants to double the party’s previous election result and to get at least 15 per cent of votes in the next Duma. He said Fair Russia can boast of strong support in about 20 regions, where it expects to gain from 20 to 28 per cent of the vote. But a September poll by the All-Russian Public Opinion Research Center (VTsIOM) showed that of all opposition parties Fair Russia has the lowest rating of 4 per cent as compared to the Communists (11 per cent) and the Liberal Democrats (9 per cent). United Russia, according to the survey, is supported by 43 per cent of populace. 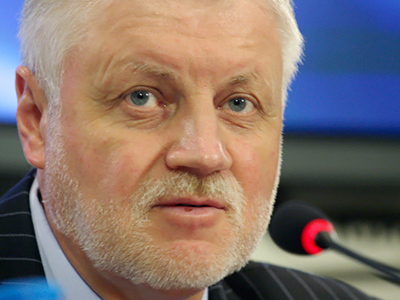 Mironov’s party has been reportedly losing its chances to enter the State Duma since May, when he was recalled by United Russia from the post of the Federation Council speaker. 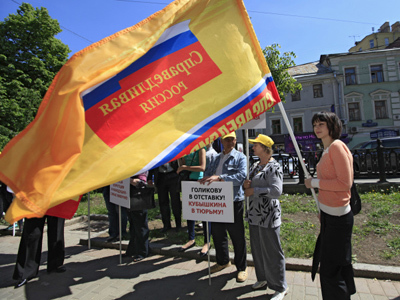 Some even started to speak about an “exodus” from Fair Russia in Moscow and regions. Many dissenters, including State Duma Deputy Speaker Aleksandr Babakov, said the party’s leadership lacks constructive ideas and only criticizes political rivals. Fair Russia’s congress approved the list of candidates for the December Duma election. It is led by Mironov, followed by Levichev and Duma deputy Oksana Dmitrieva. The federal part of the ticket includes eight candidates, six of them are members of the party’s faction in parliament, two others are not party members. But Mironov felt compelled to comment on United Russia’s congress as well, saying he was surprised by President Dmitry Medvedev’s decision to head the party’s election list. This will only consolidate Fair Russia members to fight political monopoly, he said. Gennady Gudkov, deputy head of Fair Russia’s faction in the Duma, said the country needs reforms, but this reshuffle changes nothing. He warned that “a revolution is ripening, it could explode in two or three years.” Only coalition government could save the hope for reforms and stability, he assessed. According to Mironov, Fair Russia will not support Prime Minister Vladimir Putin’s presidential bid. The party had earlier promised to vote against any candidate nominated by the ruling party, he recalled.